Known for reliability and coming very well-equipped – including 3rd row seats - the Honda Pilot represents a great value in the mid-sized SUV class. 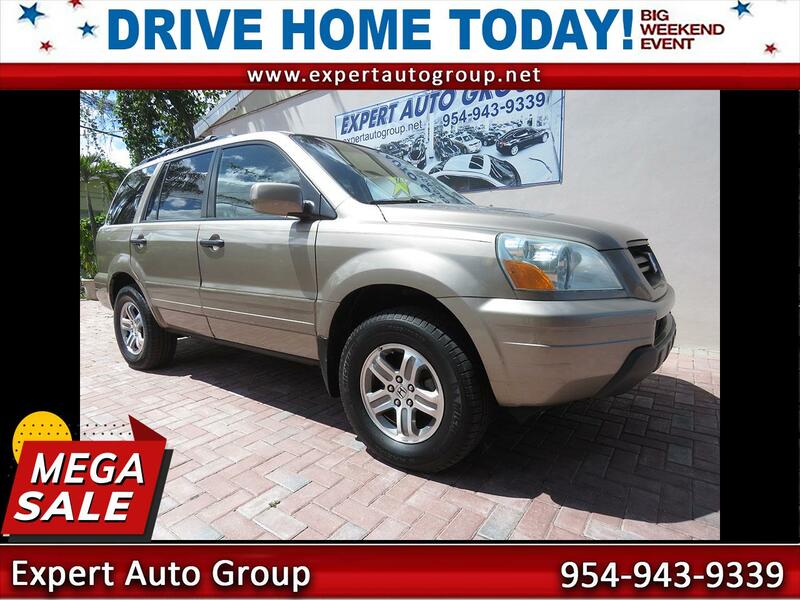 This 2004 Honda Pilot EX-L All Wheel Drive is very affordable, and its in VERY good condition inside and out. Carfax shows this to be a lifetime Florida car with no accident history or any other problems. It also shows 29 service records, so you know this Honda has been well-maintained. Its powered by a 3.5 Honda motor that’s rated at 240 hp and 242 lb-ft of torque. This is a very nice Honda Pilot that won’t bust your budget. Call us or come by if you can.